People who work out on a regular basis often find that ensuring optimal nutrition beforehand can help provide them with the energy, stamina, and strength needed to get a solid workout. That’s the whole idea behind pre-workout supplements. By fueling the body with optimal nutrition, those who are physically active can boost their performance each and every time. Proper nutrition can help the body not only train harder, but perform better. Further, research shows that optimal pre-workout nutrition can even reduce the amount of damage done to the muscles through vigorous activity. But if you’re following the ketogenic diet, you’ll have to be more selective about the type of supplements you fuel your body with. Many pre-workout recipes include plenty of carbs that are supposedly used for energy. But on the keto diet, excessive carbs are a no-no. If you’re planning to look for a pre-workout supplement that’s keto friendly, you’ll have to be careful when reading your labels. While you can whip up your own pre-workout meal or snack on your own, you can also buy yourself a pre-workout supplement that contains an ideal ratio of healthy ingredients. It’s important to choose your pre-workout supplement wisely as some may contain useless – or even potentially harmful – ingredients. When on keto, you’ll often experience depleted energy stores as a result of limited carbohydrates. A good pre-workout supplement will counter this situation and give you the support you need to have a great workout. Not only is the actual type of supplement itself important, but so is when you actually consume it relative to your workout. Generally, it’s best to take your supplement about 2 to 3 hours before working out for maximum results. But what about if you run out of time before your workout and can’t get in your supplement before this window of opportunity? That’s fine, but it’s important to keep in mind that the sooner you eat before exercising, the smaller the meal should be. You might want to chug a huge shake right before a workout or you’ll suffer from cramps and will even feel a little bogged down as your body digests it. Ideally, you want to give your body some time to break down the meal before working out, and the 2 to 3 hour window seems to be the sweet spot for pre-workout nutrition. What to Look For in a Keto Pre-Workout Supplement? It goes without saying that the fewer carbs and sugars that a supplement contains, the better for the keto dieter. You don’t want to gain energy and strength for your workout only to sacrifice your ketogenic state. As such, the first thing you should look at in a keto-friendly pre-workout supplement is its carb content. Ideally, there should be a very low carb count and no added sugars. Other things to look for in a keto-friendly pre-workout supplement include the following. This is an amino acid that increases muscle stores of carnosine. Studies have shown that beta-alanine is most effective for short- and high-intensity exercises. It is able to do this by maximizing exercise capacity and muscle endurance while simultaneously reducing fatigue. Also an amino acid, citrulline that is bound with malic acid can help to improve muscle endurance, alleviate muscle soreness, and boosts aerobic and anaerobic performance. Ornithine is another amino acid that plays an important role in what’s known as the “urea cycle,” an important metabolic process. Studies have shown that supplementing with ornithine can stimulate fat burning for energy and reduce fatigue. Also known as trimethylglycine, betaine is a compound that’s commonly found in plants such as beets. Studies show that supplementing with betaine can increase muscle strength and improve muscle endurance. Theanine is another amino acid that’s mainly found in tea. When coupled with caffeine, theanine provides a number of mental cognitive benefits, including reduced effects of mental and physical stress. It also helps to improve alertness, focus, mood, and attention. Theanine has also been shown to increase the production of nitric oxide, which can help to expand blood vessels, increase blood flow, and decrease plaque in blood vessels. While you don’t want to see any added sugars in a pre-workout supplement, you also don’t want the product to taste horrible. It’s common to see sweeteners and flavors added to these products, but they should be natural. Natural sweeteners like stevia and erythritol are ideal as opposed to artificial sweeteners. In addition to the ingredients you may want to see in your pre-workout supplement, you might also want to look out for any addictive that you don’t want to see on nutritional labels. For starters, there should be no dyes or other types of chemicals in the product. Many pre-workout products contain artificial dyes, which could cause some negative side effects in the body. So, which pre-workout supplements are best for those on the keto diet? Let’s count them down. The number one pre-workout supplement for the keto diet is the Perfect Keto Pre-Workout Supplement. This particular product is specifically designed to support optimal mental performance, clarity, and productivity in anyone engaging in sports and physical activity. This formula was designed specifically for the ketogenic diet and for those who may find it difficult to get back into ketosis after eating carbs. Perfect Keto easily increases blood ketone levels, boosts athletic endurance, energy levels, and mental performance. It’s easy to mix and dissolves quickly in water, milk, coffee, or smoothies. It’s got a fabulous taste without any fillers and other artificial additives. 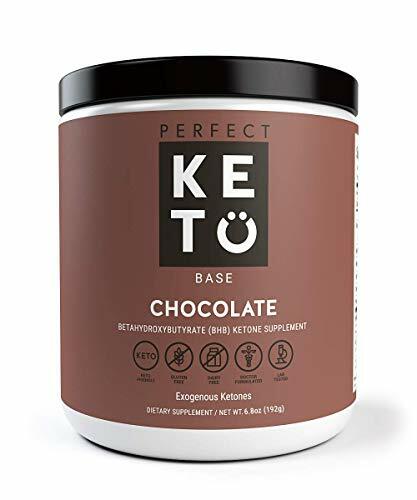 Perfect Keto has no carbs or sugars, and provides keto salts. There’s nothing but pure exogenous ketones that are designed to enhance your ketogenic state. 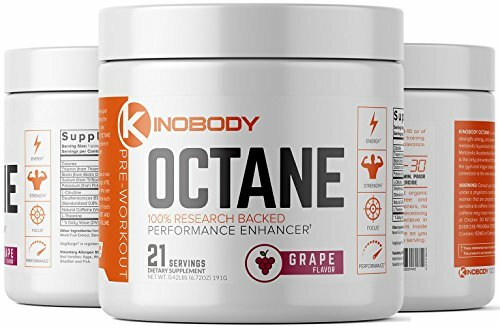 Kinobody Octane combines potent, natural ingredients that help to rev up energy levels both before and during your workout. The unique blend stimulates neurons to fire more quickly, which then activates muscle fibers and musters up more energy to result in maximum force and execution. Ingredients such as ginseng, L-citrulline, and thiamine are contained within this product, which have been shown to reduce metabolic stressors that can compromise your workout. You’ll notice plenty of energy needed to sustain a vigorous workout. Kinobody Octane also helps to replenish the bloodstream of important electrolyte minerals to keep the central nervous system constantly firing and activated, which can help maximize your performance. Contains vitamin B1, biotin, potassium, L-Theanine, ginseng, and L-citrulline. It’s always helpful to get a boost in energy and mental clarity before a workout, and Progenex Force Pre-Workout Powder delivers every time. This is a high-quality scientifically-tested product that can help you perform at your best. 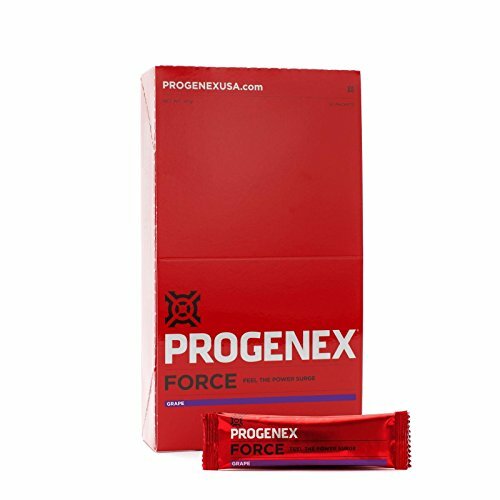 Progenex force is a specially formulated powder that helps to increase oxygen, strength, stamina, focus, and mental clarity, which can help you take your training to the next level. This product contains a unique blend of ingredients that are designed to help maximize the body’s ability to train harder and longer for maximum gains. There are also key nutrients in this powder, including creatine, 2:1:1 BCAA peptides, L-citrulline, beta-alanine, and low dose caffeine without the jitters. Progenex Force also contains Surge NOS Activator, a whey peptide that boosts the production of nitric oxide in endothelial cells. This is important for vasorelaxation, which helps to increase blood flow and oxygen transport, maximize VO2 Max, reduce blood pressure, and provide fast delivery of nutrients during training. Helps to increase blood flow and oxygen transport. Contains beta-alanine and L-citrulline to minimize fatigue. Sharpens mental clarity and focus. 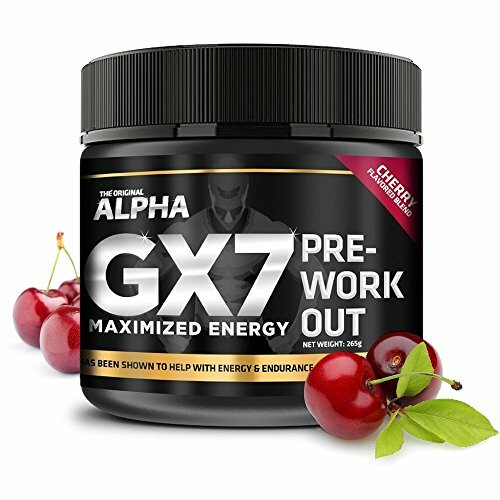 Alpha Gx7 Pre Workout Powder was formulated by health-industry experts to help active individuals reach peak performance without the typical side effects that stimulants tend to induce. With this product, you’ll experience quick results that will help you lift more and go longer than you could without it. This pre-workout supplement is safe, highly effective, and backed by scientific research. It contains powerful L-carnitine to build lean muscle mass, beta-alanine for optimal workouts, taurine for maximum energy, and citrulline malate to combat fatigue. There’s a whopping 2,000mg of beta-alanine per serving, providing you with the means to boost carnosine levels quickly to help you perform high-intensity workouts with ease. Every batch is tested for purity and quality to provide you with a top-notch product that goes well with every workout. 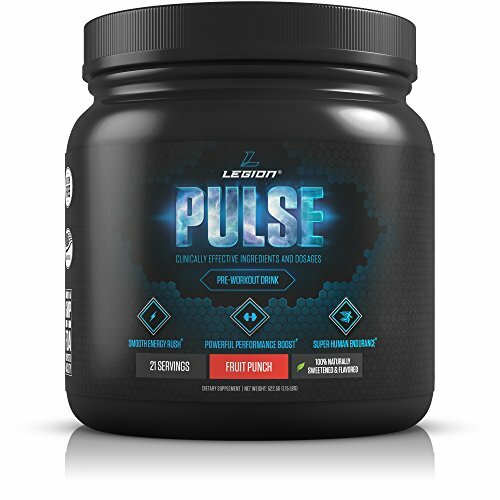 Backed by published scientific research, Legion Pulse pre-workout supplement tastes great and mixes well in your favorite beverage. This product contains only the highest-quality ingredients to provide you with the maximum amount of energy and strength for an optimal workout. You won’t get any jitters or side effects that are common with other types of supplements. Low in carbs, this product is great for the keto dieter. All you’ll get is potent ingredients like L-citrulline malate, ornithine, theanine, and beta-alanine. There are no fillers or added sugars, so you can be sure you’re getting a quality product without any of the unnecessary additives that you might find in other pre-workout supplements. Sweetened with erythritol and stevia (both natural sweeteners), you’ll get the great taste without the carbs or sugars, nor any of the added calories. Each serving contains 4g of carbs. Contains citrulline malate, ornithine, beta-alanine, theanine, and betaine. Focused on increasing energy, reducing fatigue, and improving muscular endurance and mental focus. It’s clear to see that you’ve got a few decent options when it comes to a good quality pre-workout supplement while on a keto diet. The Perfect Keto Pre-Workout supplement is probably the best one you can get your hands on. It makes a sound choice because it has been specially formulated with the ketogenic dieter in mind. Do your homework and test out some products to see which one works best for you.